La primera década del siglo XXI ha sido testigo de una producción impresionante de obras analizando la política exterior norteamericana desde una óptica imperialista. Decenas, sino cientos de libros, ensayos y artículos periodísticos testimonían lo que ha sido un profundo debate intelectual y político. La siguiente bibliografía recoge una muestra mínima, pero a mi parecer muy siginificativa de ese debate. Espero que les sea útil. Claes G. Ryn, America the Virtuous: The Crisis of Democracy and the Quest for Empire. New Brunswick, U.S.A.: Transaction Publishers, 2003. 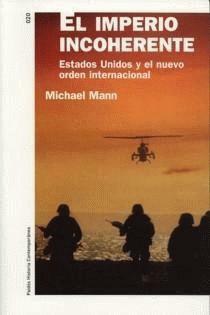 Michael Mann, El imperio incoherente: Estados Unidos y el Nuevo Orden Internacional. España, Ediciones Paidos Ibérica, S.A., 2004. Melani McAlister, Epic Encounters: Culture, Media, and US Interests in the Middle East, 1945-2000. Berkeley: University of California Press, 2001. 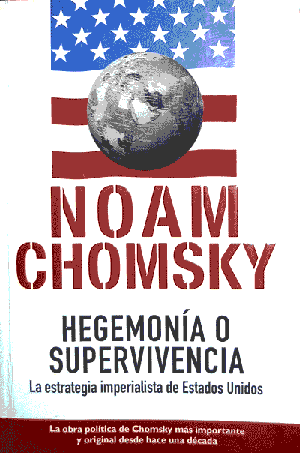 Noam Chomsky, Hegemony or Survival: Americas Quest for Global Dominance. New York: Metropolitan Books, 2003. Noam Chomsky, Hegemonía o supervivencia: la estrategia imperialista de Estados Unidos. Colombia: Editorial Norma, 2004. Chalmers Johnson, Blowback: The Costs and Consequences of American Empire. New York: Metropolitan Books, 2000. 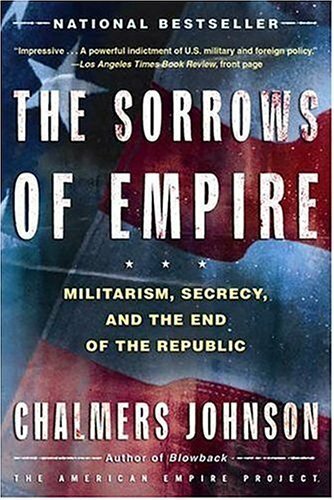 Chalmers Johnson, Nemesis: The Last Days of the American Republic. The American Empire Project. New York: Metropolitan Books, 2006. 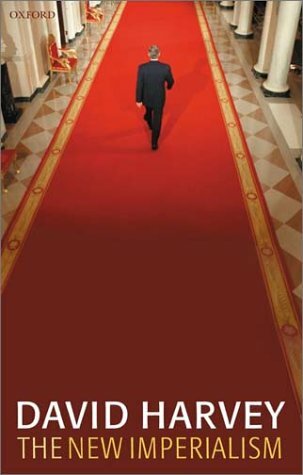 Andrew J. Bacevich, American Empire: The Realities and Consequences of U.S. Diplomacy. Cambridge, Mass. : Harvard University Press, 2002. Andrew J. Bacevich, The Imperial Tense: Prospects and Problems of American Empire. Chicago: Ivan R. Dee, 2003. 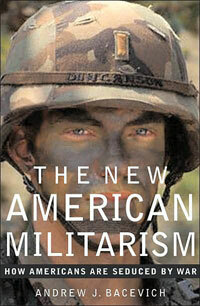 Andrew J. Bacevich, The New American Militarism: How Americans Are Seduced by War. New York: Oxford University Press, 2005. Andrew J. Bacevich, The Limits of Power: The End of American Exceptionalism. New York: Metropolitan Books, 2008. William E. Odom and Robert Dujarric. America’s Inadvertent Empire. New Haven & London: Yale University Press, 2004. 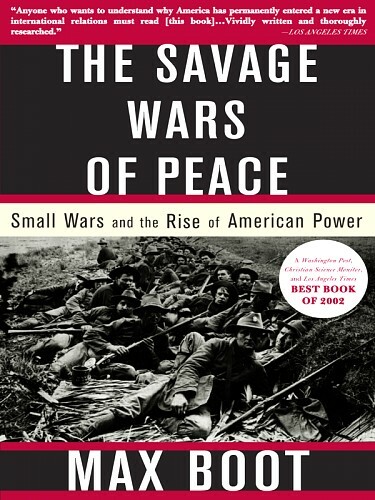 Max Boot, The Savage Wars of Peace: Small Wars and the Rise of American Power. New York: Basic Books, 2003. Niall Ferguson, Colossus: The Price of America’s Empire. New York: Penguin Press, 2004. Niall Ferguson, Coloso. Auge y decadencia del imperio americano. Barcelona: Debate, 2005. 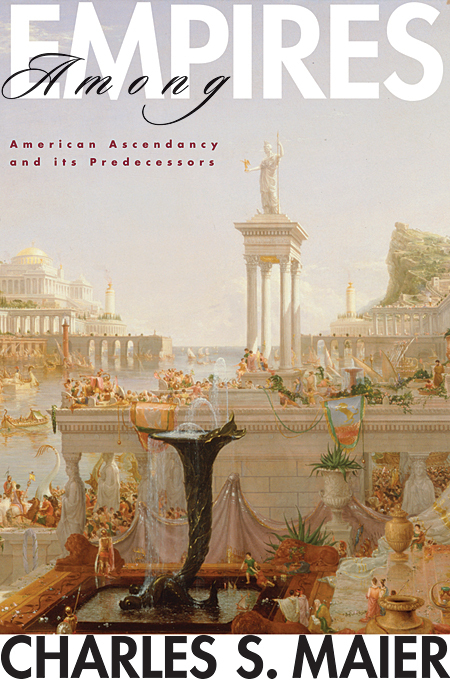 Charles S. Maier, Among Empires: American Ascendancy and Its Predecessors. Cambridge, MA: Harvard University Press, 2006. 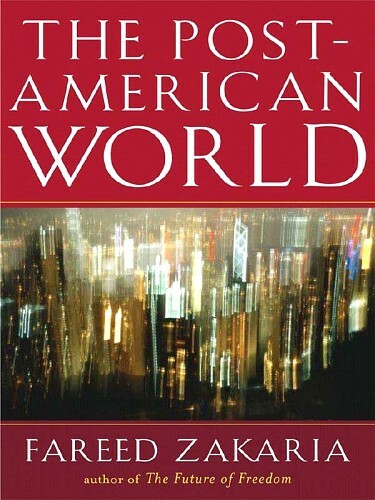 Robert Kagan, Of Paradise and Power: America and Europe in the New World Order. New York: Vintage Books, 2004. Melvyn P. Leffler, and Jeffrey Legro, To Lead the World: American Strategy after the Bush Doctrine. New York: Oxford University Press, 2008. 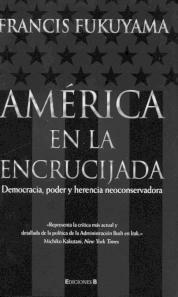 Francis Fukuyama, America at the Crossroads: Democracy, Power, and the Neoconservative Legacy. New Haven: Yale University Press, 2007.